Could the Montreal Protocol be the world’s most successful treaty? In 1987, countries around the world came together to sign it. Their mission? To save the ozone layer. The Montreal Protocol marks its 30th anniversary on 16 September 2017, the UN’s International Day for the Preservation of the Ozone Layer. The celebration is all the more special, because the treaty worked. Thanks to the treaty, more than 135 billion tons of carbon dioxide-equivalent emissions were prevented from reaching the atmosphere between 1990 and 2010. It is estimated that up to 2 million cases of skin cancer worldwide may be prevented each year by 2030. The global health and economic benefits are expected to amount to US$2.2 trillion, as a result of averted damages to agriculture, fisheries and materials. Over 98% of ozone-depleting substances have been phased out globally to date. 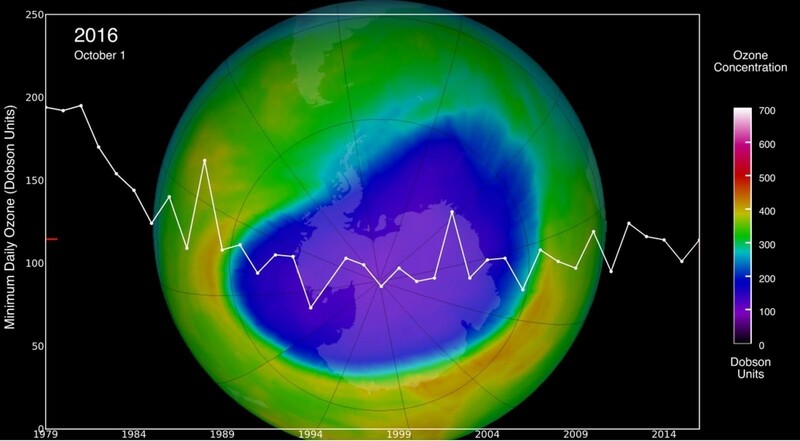 Without the treaty, the hole in the Antarctic ozone would have been 40% larger in 2013. The Earth is surrounded by a layer of atmosphere that protects it from the sun’s ultraviolet rays. These rays can cause skin cancer, create cataracts in our eyes and impair our immune systems; they also threaten plant growth and food chains. In 1974, scientists discovered that the ozone layer was getting thinner. Then they found that the problem was probably caused by human activities. The atmospheric layer was being depleted by chemicals called chlorofluorocarbons (CFCs), which were at the time widely used in aerosol cans, fire retardants and fridges, among other things. 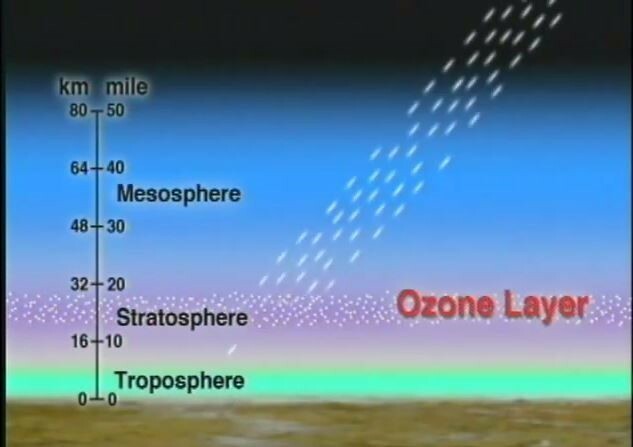 Satellite data shows the layer of ozone molecules in the upper atmosphere returning to normal. In particular, scientists saw that there were very large decreases in ozone concentrations over Antarctica. So much so, that it became known as the Antarctic Ozone Hole. In 1987, countries came together – eventually 197 in total – and agreed to stop using CFCs and similar ozone-depleting chemicals by signing the Montreal Protocol on Substances that Deplete the Ozone Layer. The protocol was agreed on 16 September 1987 and entered into force on 1 January 1989. In 2016, scientists discovered that the agreement was working. The ozone layer was healing. Using a combination of measurements from satellites, ground-based instruments and weather balloons, a team of scientists found that since 2000 the hole has shrunk by 4 million square kilometres – an area bigger than India. Building on its success, the Protocol was amended last year. The Kigali Amendment added an agreement to phase out hydrofluorocarbons (HFCs). This group of chemicals replaced CFCs because they are ozone-safe. However, while they aren’t directly responsible for depleting the ozone layer, they are powerful greenhouse gases. Although only comprising a small proportion of emissions, HFCs can be thousands of times more potent than carbon dioxide in contributing to climate change. The Montreal Protocol could be the single largest real contribution the world has made so far towards keeping the global temperature rise "well below" 2 degrees Celsius. This is the target agreed at the Paris climate conference last year. At current estimates, the hole will close completely around the middle of this century.